FELT Magazine is for you, grab some wool, add soap, water and friction, and come explore FELT with us. Discover new techniques, tips and designer profiles to inspire you. Each issue has unique wet & dry felting projects, techniques, articles, book reviews, gallery and more... We are all about the love of FELT, and supplying you with original, Australian content. 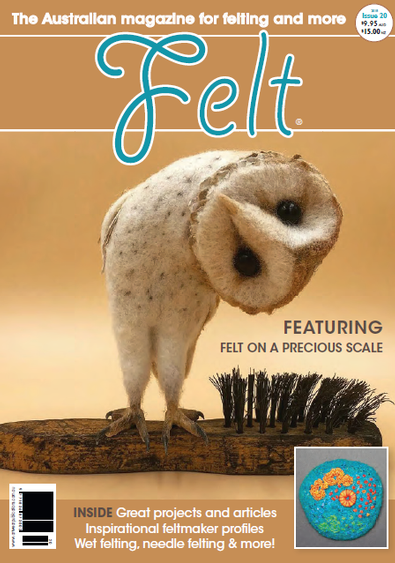 With a focus on felting and more, if you love FELT, you'll love this magazine. Our original ideas policy ensures that we fill the niche market for individual, discerning readers, who like to make beautiful, unique pieces. We are an independent magazine, not part of a publishing empire. This is all we do, and we do it for you. We know you'll like it. 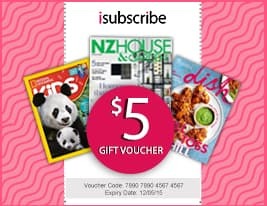 Be the first person to tell us what you think about FELT Magazine (AU) and you'll save $5 on your next purchase!